Colvin, the standard reference work on British architects, has little to say about Franklin in terms of biography. He was born c. 1785 in Stroud, Gloucestershire, possibly the son of a monumental mason of that town. He retired in 1848 and died in 1855. There is a commemorative tablet in a chapel in Stroud. Much of his work was done in conjunction with Thomas Haigh, architect son of contractor Bartin Haigh who also did work for the L&MR, for example variously repairing and demolishing houses on Crosbie Street by Wapping goods station. 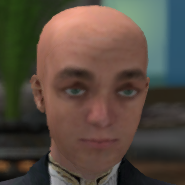 Franklin acted as witness at Thomas Haigh's wedding. 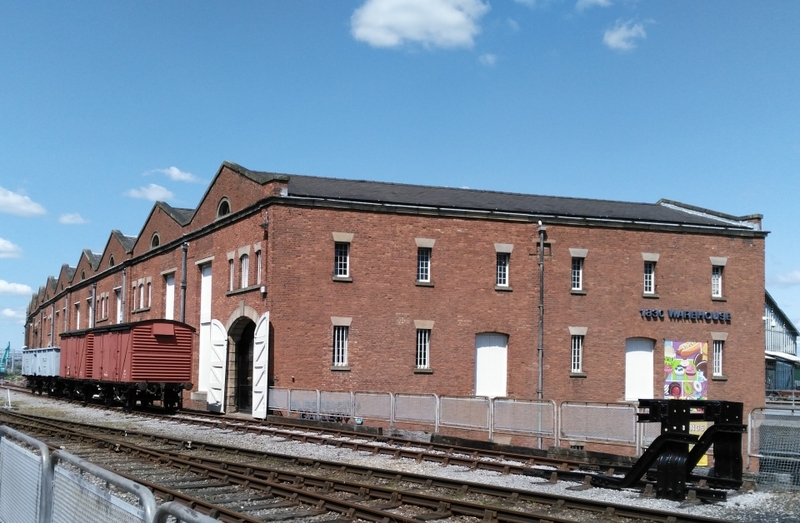 Franklin and Haigh were responsible for the 1830 warehouse at Manchester Liverpool Road although it was built to tender by David Bellhouse Jnr rather than the Haigh family company (Bellhouse was also responsible for building the Manchester station, architect unknown). 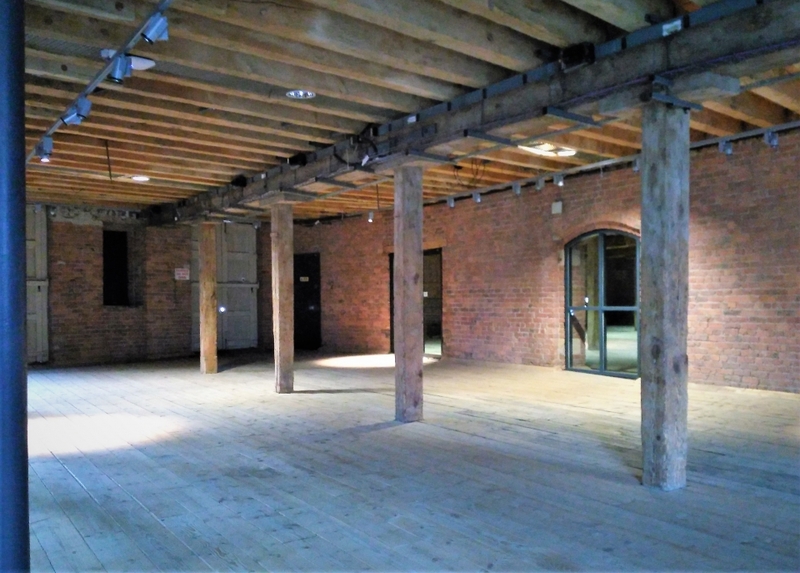 The requirement for a warehouse at Manchester was only determined in early 1830 and the building erected in just 4 months. This was only possible because a timber frame was used despite being non-fireproof. 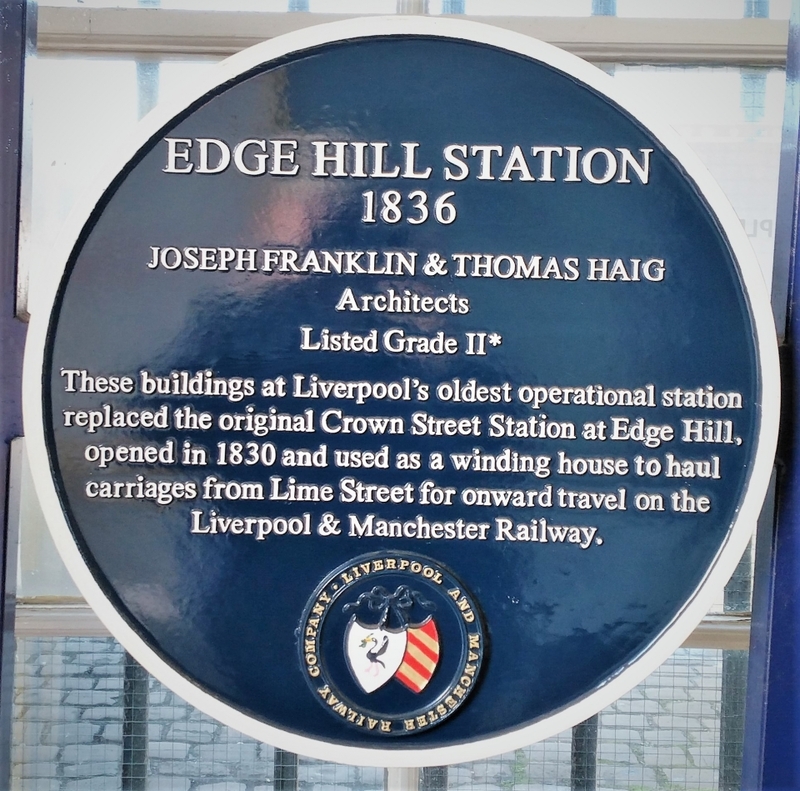 Franklin & Haigh were also architects for the 1836 Edge Hill station, arguably the oldest station in continuous use. However, the formal partnership with Haigh had been dissolved in 1835 when Franklin became Corporation Surveyor in succession to John Foster Jnr, an event marking an end to the Fosters' influence with a dramatic change from a Tory to a Whig administration in Liverpool. Hollinghurst's account of the Foster dynasty fails to name Franklin but records that he received half the salary of his predecessor. 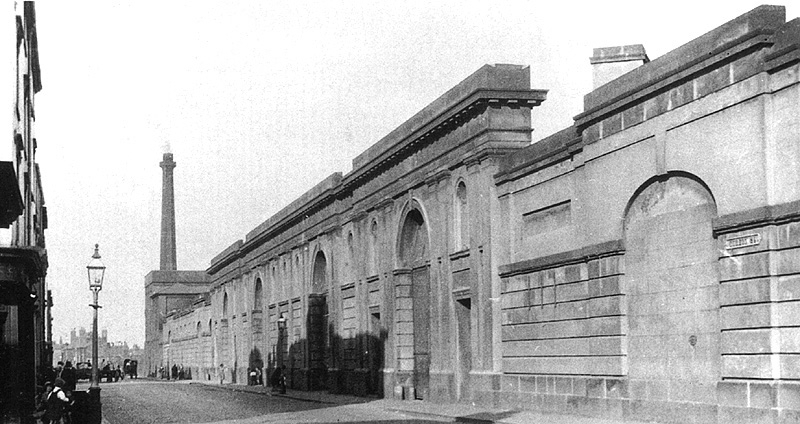 Franklin subsequently contributed designs for the arrival station at Manchester and the offices of the Grand Junction Railway Company (GJR) at Lime Street. He also designed the screen-wall for GJR's Birmingham Station adjacent to the more famous Curzon Street building Hardwick designed for the London & Birmingham. Inevitably much of Franklin's Liverpool work away from the railway has faded into obscurity or been demolished. The latter category includes Pembroke Baptist Chapel, Pembroke Place, Crescent Congregational Chapel, Everton Brow, and the Paul Street public washhouse. However, there are two significant buildings that may be familiar, firstly the "Blackie" or Great George Street Congregational Church as it was in 1840-41 when it was built. 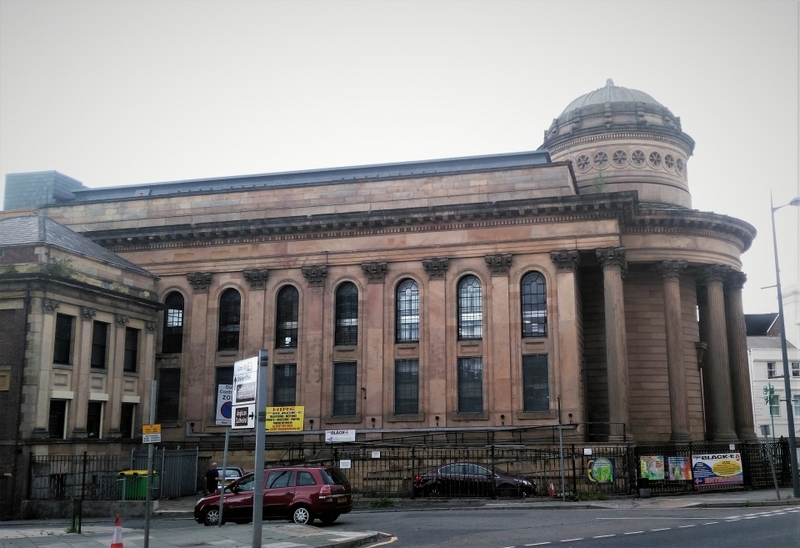 Sharples (2008) describes it as "outstandingly good" and, according to Quentin Hughes (1999), Reilly considered it one of the best classical buildings in the city. The adjacent minister's house is more of a scale with Crown Street but is obviously intended to blend with the church. Colvin also draws attention to Franklin's accessory role in the design of St George's Hall. Fig: "The Blackie" with the minister's house to the left. 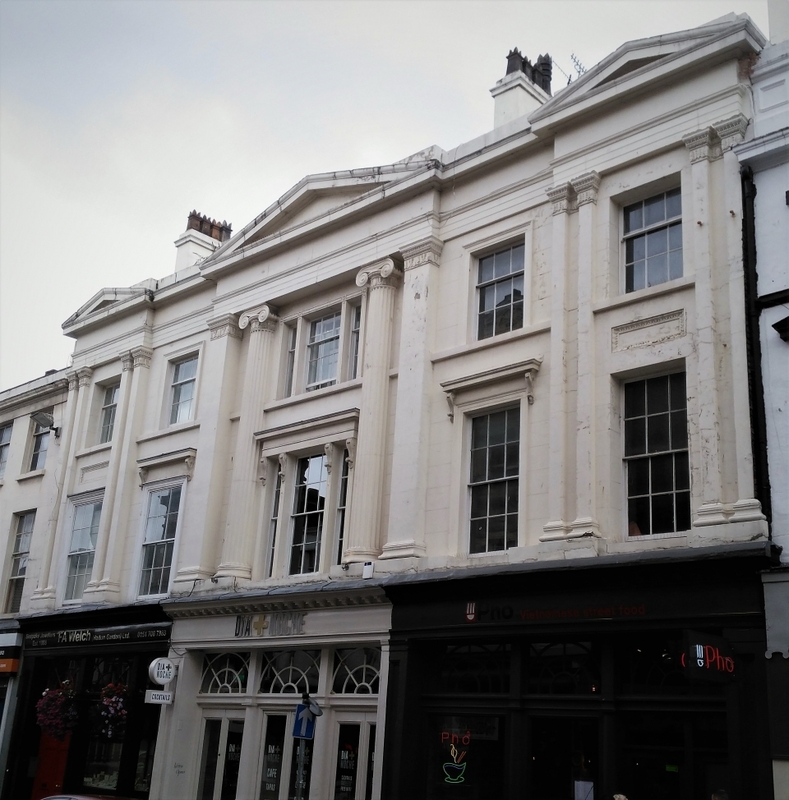 Sharples attributes 75-79 Bold Street to Franklin (c.1833), an elegant building encompassing a row of shops whose upper floors are easily missed. One signal feature is the presence of paired pilasters. Present in somewhat different forms at both Crown Street and Liverpool Road stations, this was the feature identified at Sudley House as a possible signature used by Casson. However, we now see that Franklin, a contemporary of Casson, also used it both in Bold Street and at Birmingham. The screen-wall at Birmingham is curiously reminiscent of the subsidiary L&MR offices on Smithdown Lane so Franklin is a candidate there as well as for Windsor Terrace (close to Crown Street) and Eastwood's Royal Hotel, the location of the Dale Street booking office of the L&MR. Others have championed Franklin's claim to be architect of Crown Street and he merits serious consideration. Clearly when the opportunity arose he was given to greater decoration than Casson but in the absence of design briefs this argument is necessarily of dubious merit. None of Franklin's work resembles Crown Street to the same degree as Casson's Sudley House, albeit that Crown Street does indeed have marginally greater elaboration, e.g. architraves around the windows as at Bold Street. While no evidence exists, it is intriguing to suppose that the similarity between Sudley and Crown Street may have led Sudley's owner, Nicholas Robinson, to modify Sudley's main entrance by the addition of a rather ungainly portico (possibly by Thomas Harrison) about which Hughes is somewhat scathing. Later owners, the Holts, subsequently abandoned this door for one with better access to the driveway, adapting the rather splendid staircase accordingly. Fig: Paired pilasters around the door at Crown Street (left) and Sudley (right) where they are obscured by a later portico with Doric columns. A cursory inspection of the minute books of the L&MR in the National Archives did not shed any further light on Casson's claim beyond payment of two invoices for iron bookshelves to "Casson Company", almost certainly a different entity. There are payments to the practice of Foster & Stewart, and particularly to John Stewart for surveying, but John Foster Jnr appears to have been tardy in submitting claims to the extent that he seems to have been arbitrarily awarded a sum of £200 by the Finance Committee for his contribution to Lime Street. Franklin by contrast appears to submit claims punctually, suggesting that if he was the architect for Crown Street then his name would appear in the minutes. These were, however, Foster's wilderness years and during the design phase for Lime Street Foster does appear before the Board of Directors, presenting plans for the facade and seeking feedback. The minutes do show, however, that Nicholas Robinson, owner of Sudley, was promoting railways in 1830 (he tried unsuccessfully to solicit Stephenson's assistance for a side project). He was not only Liverpool mayor in 1828 but in attendance at the Rainhill Trials in 1829 and later a director of the L&MR. Some interaction with Stephenson or other board members leading to adoption of Sudley as a template for Crown Street remains a possibility even if Casson was not involved directly and more interested in designing somewhat austere country houses. The same logic cannot necessarily be applied to the station at Manchester and Franklin also seems a more likely candidate in Liverpool for the Royal Hotel on Dale Street and possibly Windsor Terrace. That said, investigation of the minutes has not been comprehensive and focused in particular on the 1826-7 period on the assumption that Crown Street was built early (Liverpool Road is known to have been built late). A recent investigation of a candidate for the shaft (eye) used in construction of the Wapping tunnel suggests on the basis of its proximity to the station building that construction of the station may not have started until the tunnel was completed in mid-1828. Nevertheless, a clear, unequivocal answer seems unlikely or it would have been found already. Thomas (1980) in particular has used the minute books extensively as a primary source material. My preference for the architect of Crown Street remains Casson or possibly Stephenson with a design "after" Casson. The situation with the other buildings is less clear cut, not least because there are so few authenticated Casson designs. The probable attribution for the Manchester station I would put at 50:50 Casson:Franklin (with or without Haigh). On limited evidence I would be biased towards Franklin (with or without Haigh) for the other railway buildings mentioned were it not for the lack of the anticipated positive evidence from the Finance Committee. Research is, however, necessarily incomplete and ongoing. Colvin's biography fails to mention any of Franklin's seminal railway work and Thomas (1980) only references him in the context of Haig & Franklin, a misspelling that presumably explains the error on the plaque at Edge Hill. Nevertheless he is acknowledged with both a Grade II building (the Blackie) and a Grade II* (Edge Hill). His role in post-Foster Liverpool also merits further consideration.